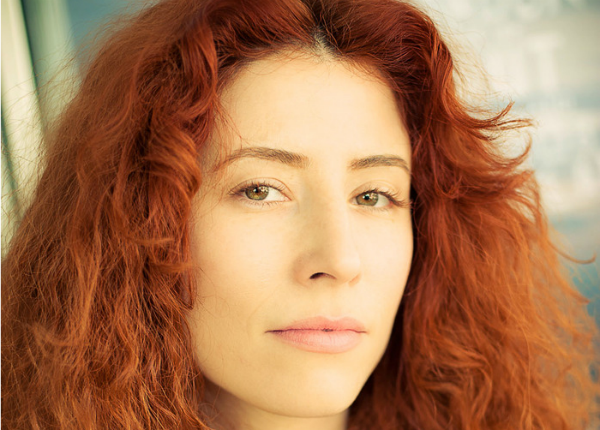 Epoch Films leads the way with two of its directors--Martin de Thurah and Alma Har’el--scoring nominations for the DGA Award for Outstanding Directorial Achievement in Commercials for 2017. This marks de Thurah’s second career nomination; he won the award in 2013. Har’el is a first-time nominee. As a woman breaking through a spotmaking awards category that has been male-dominated over the years, Har’el continues to serve as an example for inclusiveness. She founded the Free The Bid program a year-plus ago and it has helped to give female directors a voice in advertising. The non-profit initiative advocates on behalf of women directors for equal opportunities by asking ad agencies to include a woman director on every triple-bid project, production companies to sign more woman directors, and marketers to seek one woman’s bid on each of their commercial productions. MJZ also has two directors in the DGA mix--namely the directorial duo of Hoffman/Metoyer consisting of Will Hoffman and Julius Metoyer who garnered their first career DGA Award nomination. Another first-time nominee is Isaiah Seret of Biscuit Filmworks. And rounding out the field is a director who’s no stranger to the Guild nominees’ circle: Miles Jay of Smuggler. This is the second career nod for Jay who was first nominated for the DGA commercials honor in 2015. This time around Jay’s nomination came on the basis of “Alive” for Bose QuietComfort 35 Headphones out of Grey; and Squarespace’s “Who is JohnMalkovich.com” and “Calling JohnMalkovich.com” from NY agency John X. Hannes. The latter won last year's primetime commercial Emmy Award. Epoch’s de Thurah earned his second career Guild nomination for StubHub’s “Festival” and “Machines,” both from Goodby Silverstein & Partners; and WealthSimple’s “Mad World” out of that client’s in-house agency. Har’el of Epoch garnered her first career Guild nod for Procter & Gamble’s “Love Without Bias” out of Wieden+Kennedy. The spot gave P&G’s “Proud Sponsor of Moms” campaign a new twist, addressing that even though sports arguably provide more of a level playing field than many sectors, there are still forms of bias which athletes must overcome. This film is part of P&G’s Winter Olympics campaign. MJZ’s Hoffman/Metoyer scored their nomination for KitchenAid’s “Anthem” via DigitasLBi, and Ford’s “Go Further” from GTB. And Seret of Biscuit nabbed his DGA nod for Samsung Galaxy’s “Growing Up” and Samsung’s “I Love You,” both from Wieden+Kennedy, and Kohler’s “Never Too Composed” out of DDB Chicago. The winner will be announced and honored at the 70th Annual DGA Awards on Saturday, February 3, at the Beverly Hilton Hotel in Beverly Hills. This is Mr. de Thurah’s second DGA Award nomination. He previously won in this category in 2013 for The Man Who Couldn’t Slow Down (Hennessy VS) and Human Race (Acura MDX 2014). This is Ms. Har’el’s first DGA Award nomination. This is the first DGA nomination for Mr. Will Hoffman and Mr. Julius Metoyer. This is Mr. Jay’s second DGA Award nomination. He was previously nominated in this category in 2015 for It Can Wait (ESPN). This is Mr. Seret’s first DGA Award nomination.